Ask questions related to animals and pet insurance, supplies, products, hospital, diseases, health tips, specialists and veterinary advice from animals and pets experts. Explore the animals and pets section of Maybenow.com, and find out questions asked by various users and answered by experts. If you can't find any appropriate response related to your question then send your own query. 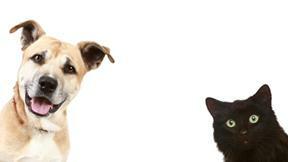 Online guides will provide you with the answer to your Animals and pets related problems on the allotted time slot. Share your pet problems and get free prescriptions and medicines help from online veterinary experts and consultants. If you are the one who knows a lot about animals and pets, people are looking for you. Check out the unanswered questions section, find the questions you can provide best answers to and help people with their queries. If you’re looking for detailed information and quick answers related to animal rights, wildlife, farm animals, exotic pets, pet rescue, adoption, extinct animals & creatures you’re just one step away from it. The queries you send regarding pets and animals would be answered immediately, depending on the seriousness of the problem. Mostly you get an instant answer, but there may be a delay depending on your question. If you need help regarding the animal & pet adoption and the problems you might face after adoption that includes the training, breeding and healthcare then feel free to start an open discussion. Through discussion, you will learn a lot about problems with the effective way to shrink your uncertainties regarding pets and animals. Which dog should i buy? Move to bigger tank need bigger sump?